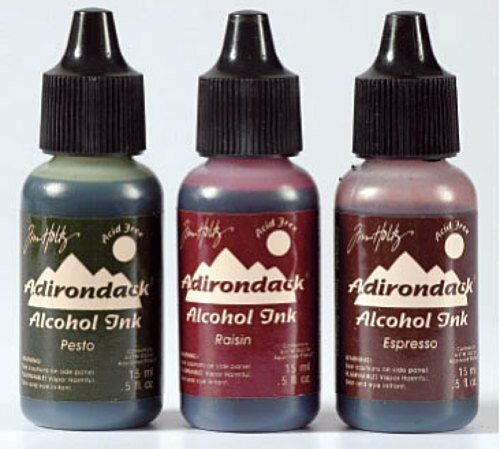 These Dye based, multi-surface inks are acid free, permanent, quick drying, and transparent. Creates a vibrant, polished effect on non-porous surfaces such as glossy paper, dominoes, metal, foil, shrink plastic, glass, and others. Formulated to create a vibrant, polished stone look. Package contains three 1/2 fluid ounce plastic bottles. Conforms to ASTM D 4236. Warning: Contents flammable. A precision tip is included for each bottle. Made in USA.